Standard Size Chrome Postcard in Very Good, Unused Condition. This post card was published and photographed by Lauretta Studio of Butte, Montana. 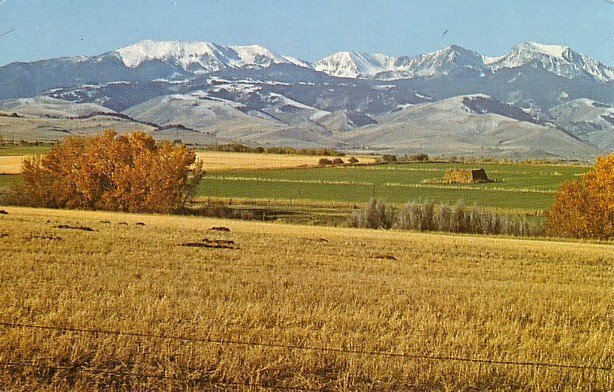 Elevation of these mountains is well over 10,000 feet on Highway 287 between Whitehall, and Ennis, Montana.